A YA novel about ten-year-old Raymie Clarke of Lister, Florida, who has a plan to get her father to come back home after he runs off with a dental hygienist. 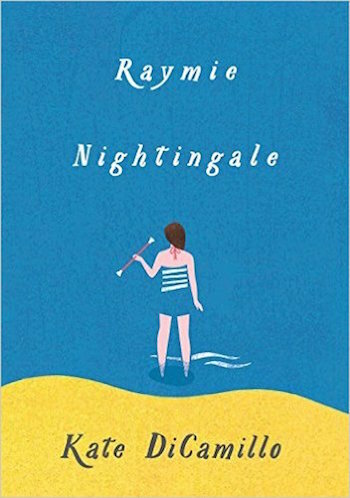 DiCamillo uses her light touch and boundless humor to deliver the difficult news that adults are fallible and that children must learn to develop an unwavering sense of self-reliance and self-acceptance. Summoning the wit of Flannery O’Connor and the sweet melancholy of John Prine, she elegantly connects her characters’ wild actions to their roiling emotions. 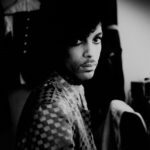 She writes with compassion and grace about both childhood traumas and adult ­transgressions ... There is something wonderfully off-balance about ­DiCamillo’s storytelling. It allows her characters to sparkle and soar. DiCamillo has called this novel, based partly on her own fatherless Florida childhood, 'the absolutely true story of my heart.' What a beautiful and generous heart it is. The magic resides in DiCamillo’s trademark ability to find the odd beauty and amazing possibilities in the mundane...The young damsels in distress test their courage and rescue one another; and the book closes not with a conventional 'happily ever after' but with a shared vision of the world as vast and yet intimately connected. DiCamillo’s prose contains magical lines—'There was something scary about watching an adult sleep. It was as if no one at all were in charge of the world'—which grow even more poignant when you realize the sleeping adult is a mean drunk, and that the young girls are dealing with more than they even know. She also has a profound understanding of the way children collect bits of tossed-off wisdom from adults and turn them into a life manual. It’s a thrill to watch Raymie go through this process, uncovering truths and forming new questions along the way. What did you think of Raymie Nightingale?